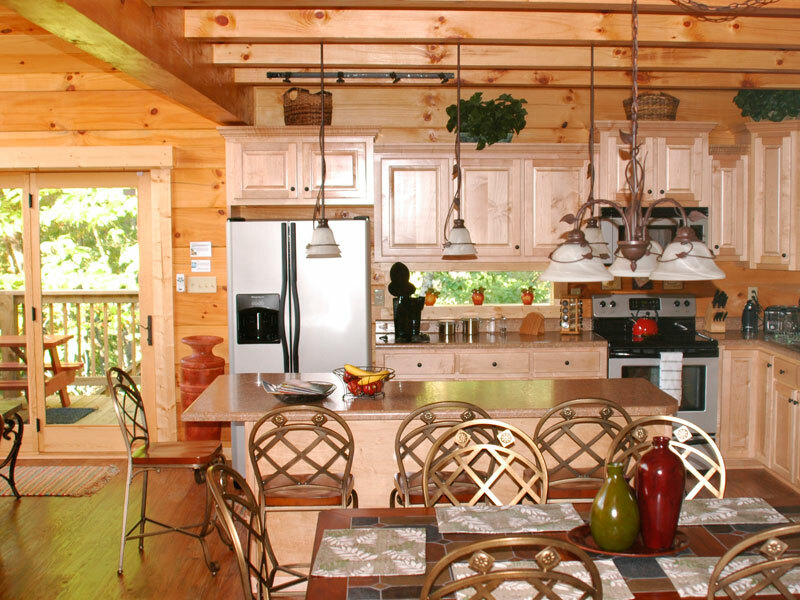 Rental rates for this lake vacation rental log cabin home vary from $1,575.00 to $2,765.00 per week, with nightly and monthly rates available. 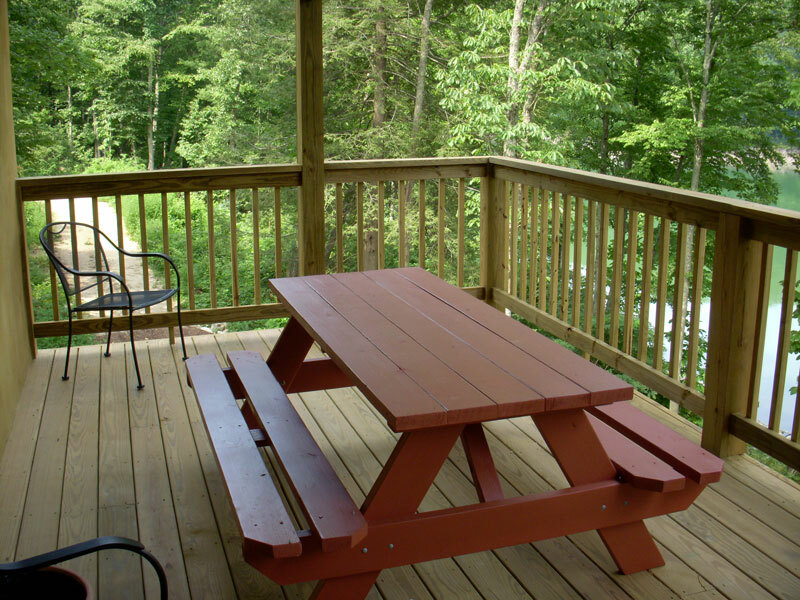 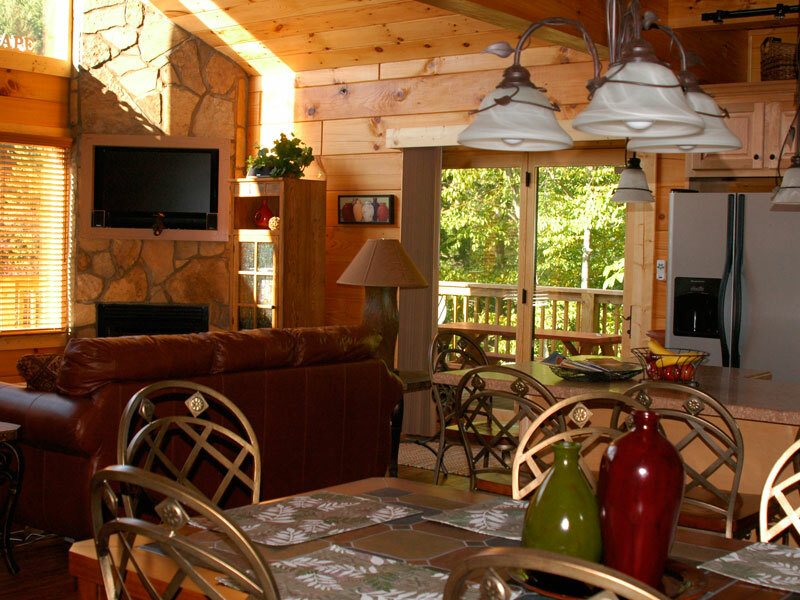 Premium rates for this rental cabin in the mountains are charged during the summer, holidays, and NASCAR Bristol races. 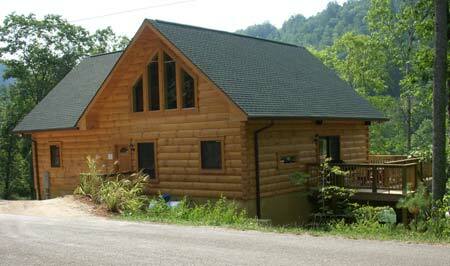 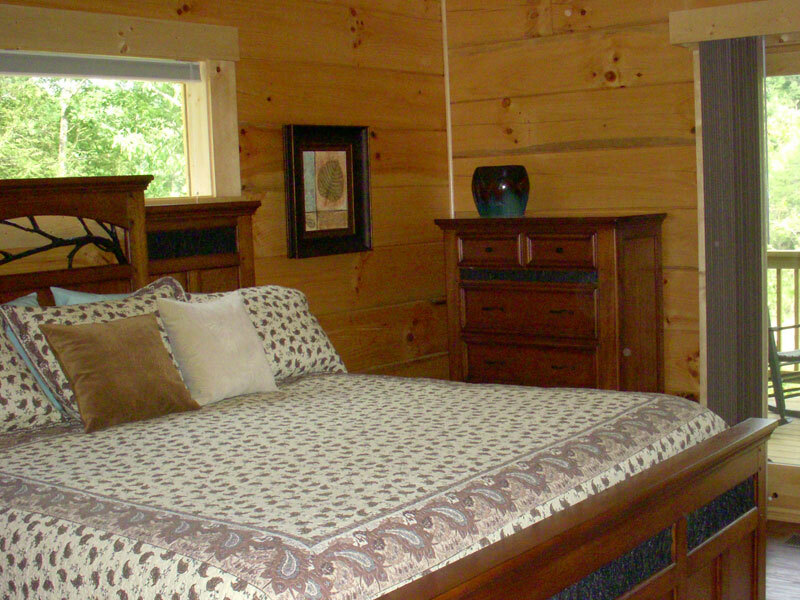 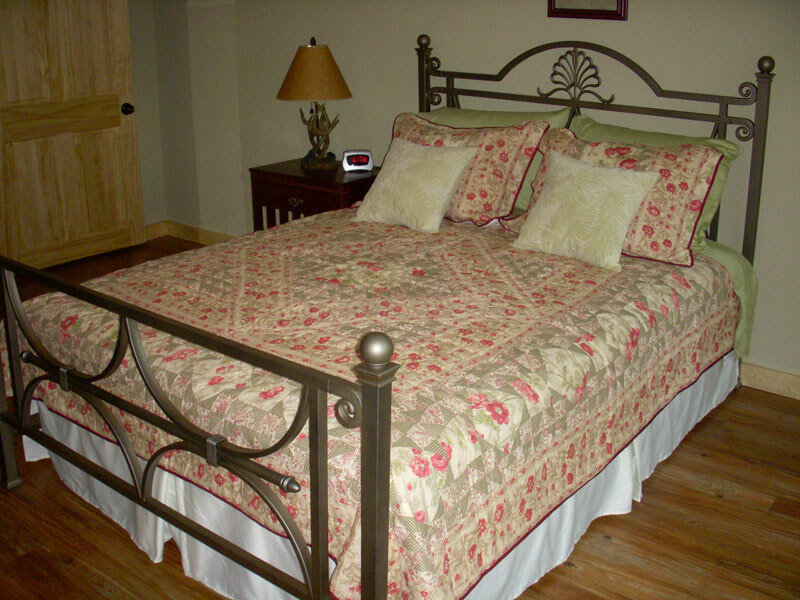 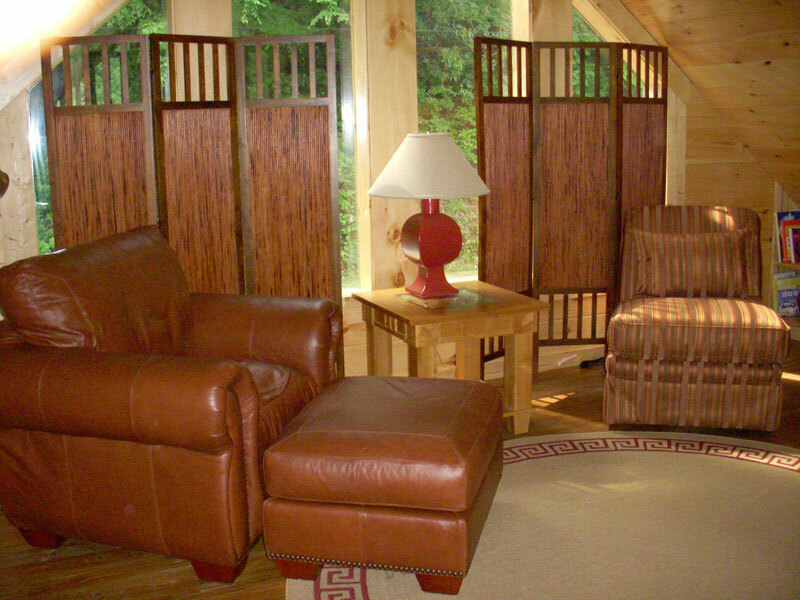 Special rates are offered at different times of the year for this log cabin rental home in the mountains. 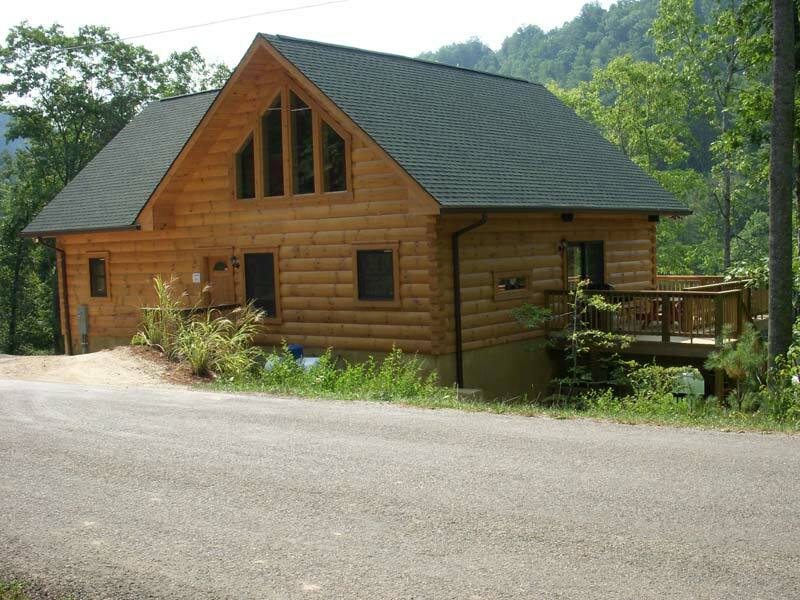 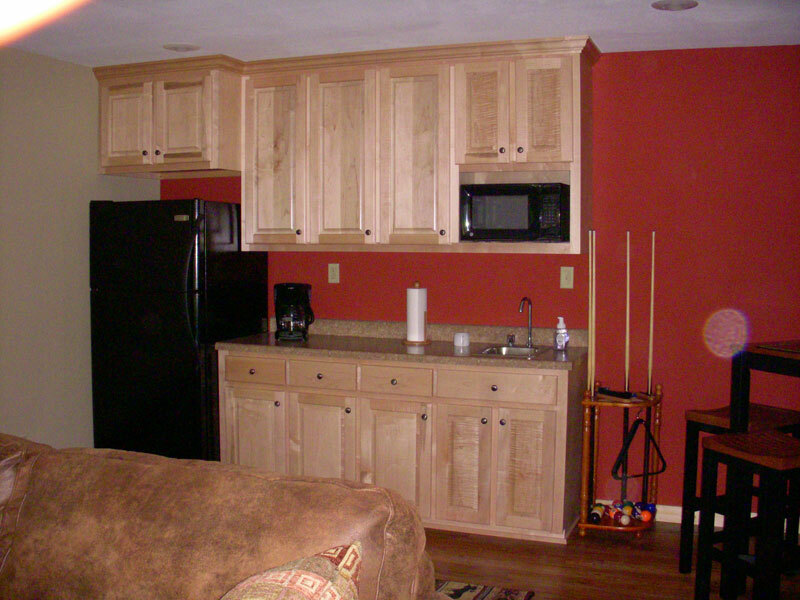 Waters Edge log Watauga Lake Cabin home rental in the mountains is located in Johnson County, TN, which has a 13.5% occupancy tax. 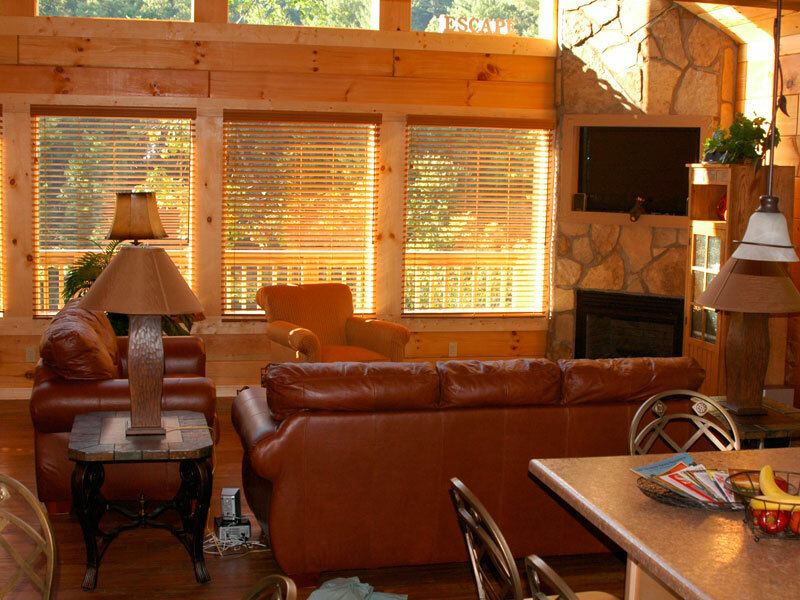 A lake home log cabin cleaning fee of $125.00 applies to all reservations for this log cabin in the mountains, as does a refundable security deposit. 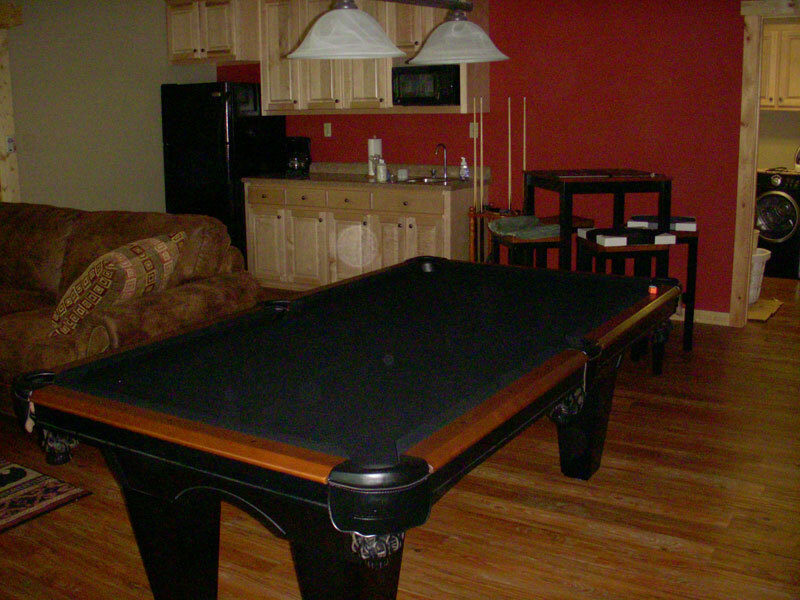 This deposit may be used for damage, theft, excessive garbage, excessive cleaning, or nondisclosure of pets. 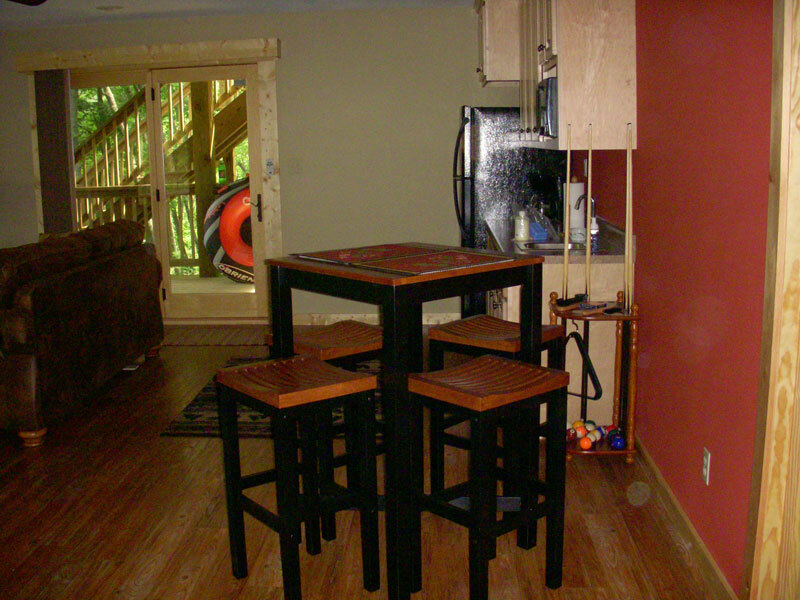 A non-refundable pet cleaning fee of $100.00 is charged for parties with pets. 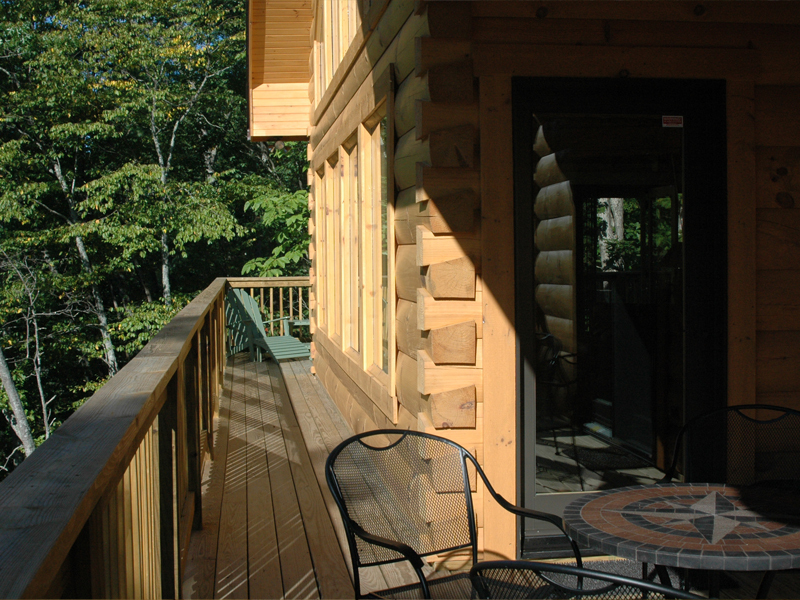 If pets are not disclosed, the fee is $150.00 and it is deducted from the security deposit for this rental log cabin in the mountains. 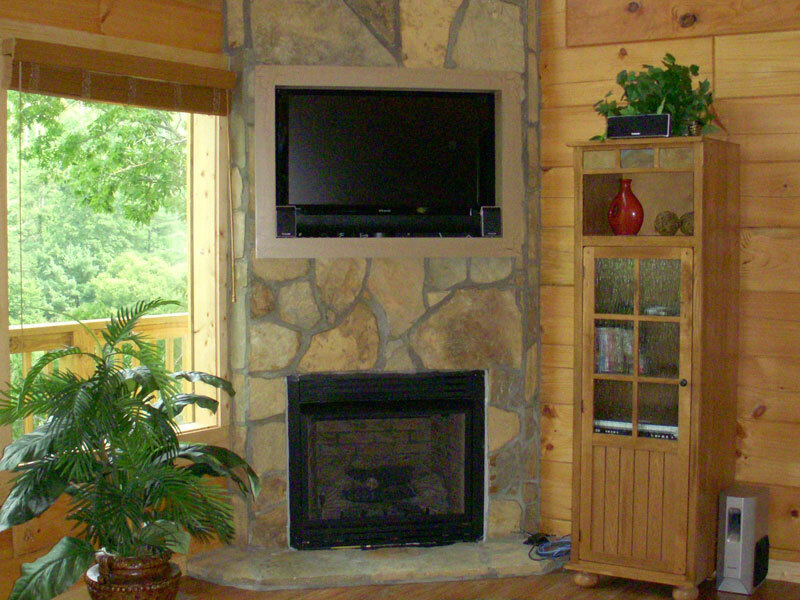 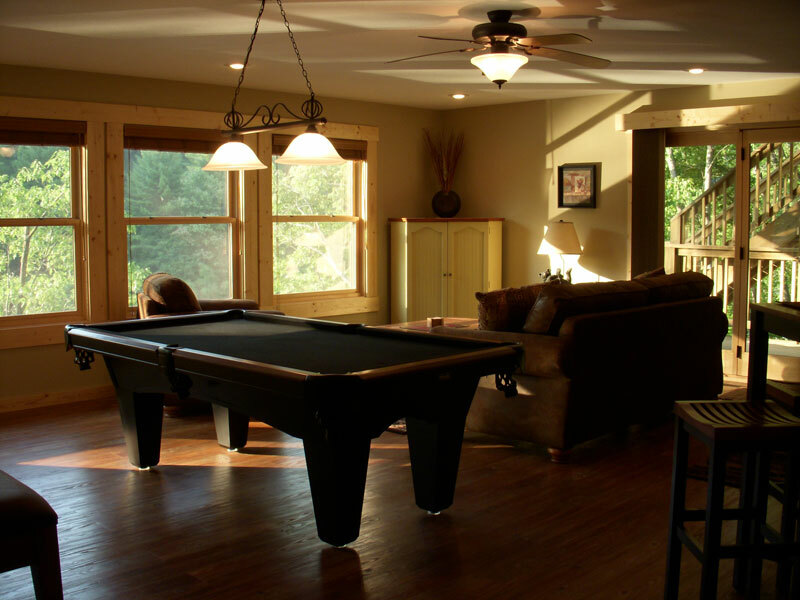 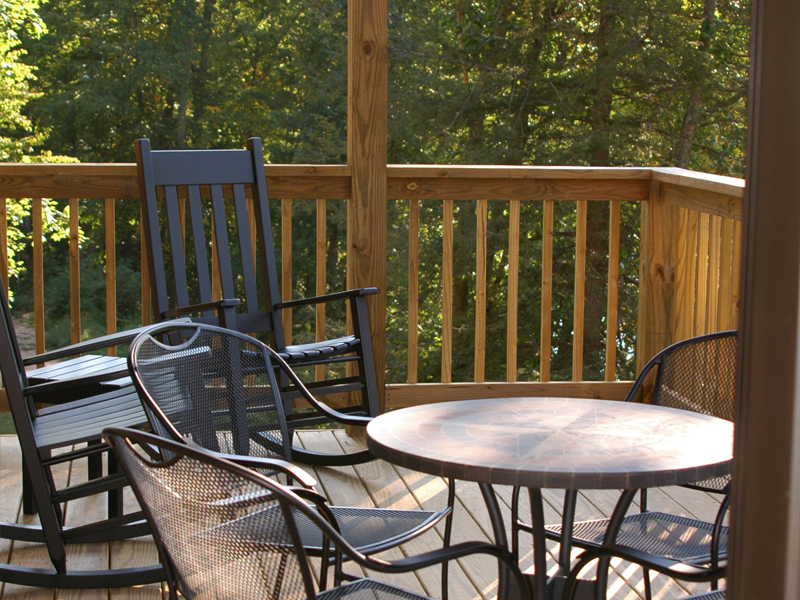 Click here to download the policies form required for reservation of this vacation lake cabin rental home in the mountains of East Tennessee. 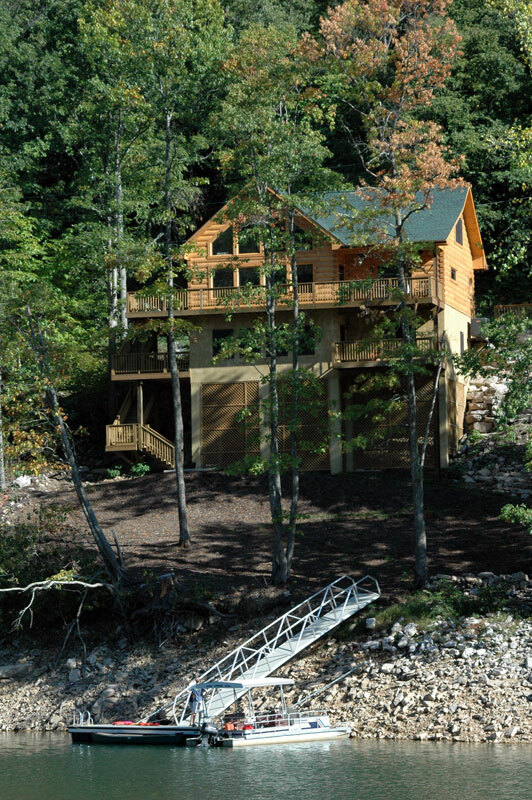 Click here to download rental lake home waiver & indemnification agreement required for reservation of this vacation log cabin lake home rental.